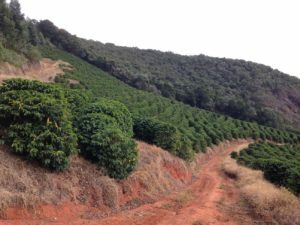 Fazenda Derrubada is a farm in Matas de Minas produced by Raimundo Dimas Santana Filho in Araponga, Mata de Minas. 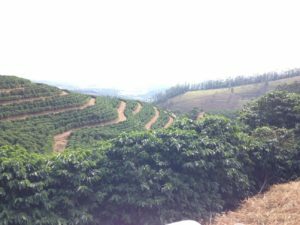 The altitude of this farm is around 1,150 masl and produces yellow catuai and red bourbon. 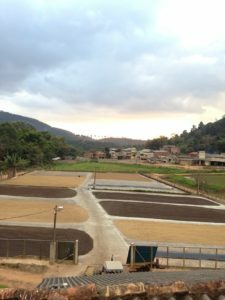 The farm was acquired around 1977 by the Santana family and has been producing coffee since then. 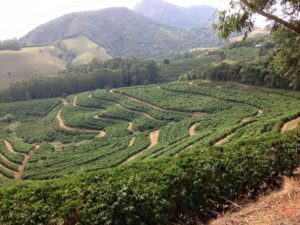 In 2001, the farm passed exclusively to Raimundo Dimas Santana (father of Raimundo Dimas Santana Filho). 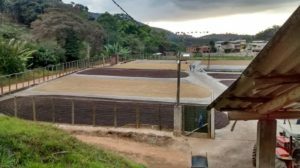 Since then, all of the infastructure has been modified and adapted in order to produce better coffee in a socio-environmental manner. 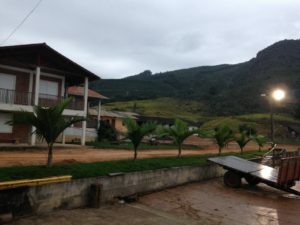 The original property was split into Fazenda Santo Antonio, its original name since 1977, and Fazenda Derrubada, which is ran by Raimundo Dimas Santana Filho. In its first year, Fazenda Derrubada produced the best coffee in the state of Minas Gerais for "espresso" and was considered the second best in Brazil according to Illy Caffee spa., and has become a reference for other producers in the region. 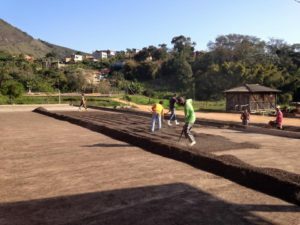 Today, the farm has 18 full-time employees, 7 living on the farm itself and 11 residing in their own houses in the city. 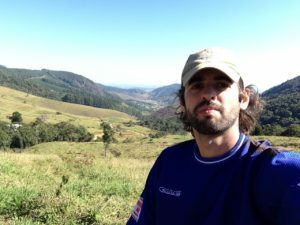 They are guaranteed all benefits provided by Brazilian labor law, including health insurance and worker's compensation, and those who live on the property also receive housing and basic household goods.